Alex Quintana has a secret room above his barbershop: Go up the back steps of the shop and you’ll find a bookshelf stacked with mob histories and contemporary novels, one of which contains a hidden button. Press the button, and the shelf swings open to reveal The Speakeasy: an amber-tinted space with jazz-club lighting, plush leather seats, and a bar with one of the finest whiskey selections in the city. Owning a successful cocktail bar may not be what you’d expect of an immigrant barber who, just a few years ago, didn’t even care for bourbon. But Alex Quintana’s journey has been anything but expected. In 1972, Quintana was born in Chile, the son of a union organizer for the mines. Less than a year later, dictator Augusto Pinochet seized power, and his father’s union activity “got him into trouble” with the new regime: Quintana’s father became one of the 80,000 Chileans forcibly interned under Pinochet. Released but not safe, Quintana’s father sought help from Amnesty International, who helped place his family into a lottery for relocation. They drew America, and a family from Heights Christian Church sponsored their trip over. Freed from the terrors of Pinochet’s Chile, Quintana grew up a Cleveland Heights kid -- he went to Heights High and worked as a bag boy at Russo’s Stock-n-Shop. After high school, he bought a house in Cleveland with some friends and worked as a bartender. 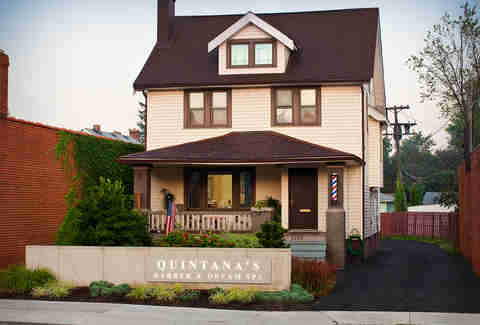 As he neared his mid-20s, he found himself “edging towards the direction of wanting a family,” to which the bar industry was “not conducive.” Fortunately, a fateful conversation during a haircut at La Barberia pointed him in the right direction: “I went to barber school before I knew it,” says Quintana. He went on to work at La Barberia, where he reunited with the woman who would become his wife and business partner -- the pair originally met in high school working at Russo's. 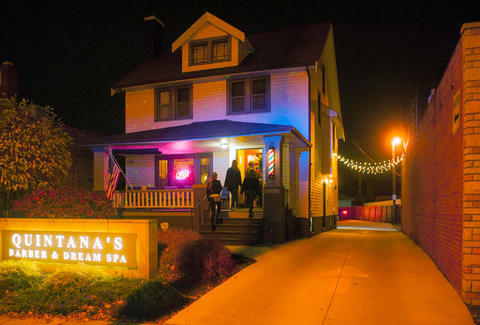 The husband and wife team opened Quintana’s Barber & Dream Spa in 2003, which has since become a Cleveland Heights institution. Through it all, Quintana maintained his status in the US as a “permanent resident alien.” “I was proud to be a Chilean,” he says. “I was proud of the sacrifices my family made, the stance they took for what was right. But as I got older, became more involved, I felt something was missing.” He officially became a United States citizen five years ago. From haircuts to "hair of the dog"
Quintana’s taste in booze would never be the same. Before it became The Speakeasy, the space above the barbershop was home to Dawn’s spa. The upstairs-downstairs dynamic worked well for a time, but business was “bursting at the seams,” so they decided to expand. A customer gave a tip on a building going up for sale right next door to the shop, in 2015, which became the new home for Dawn’s spa. It was a great move, but now the barbershop had an empty floor above it -- what to do with that unused space? 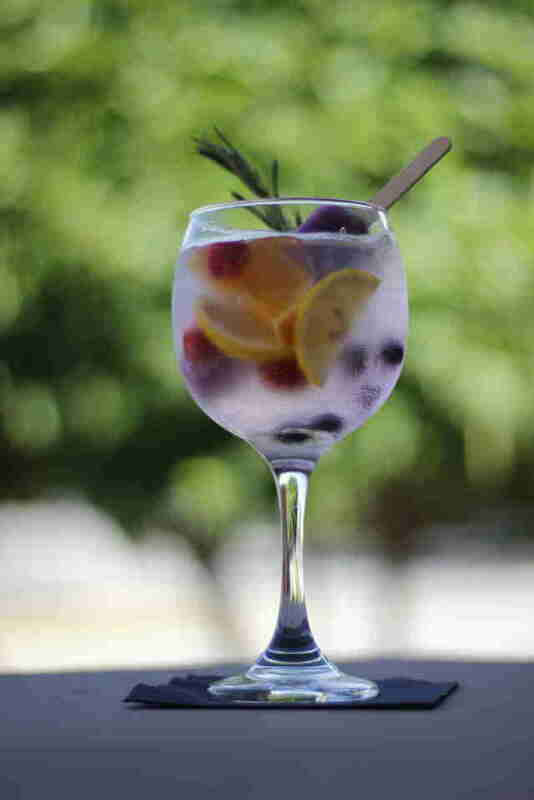 Dawn already had an idea: Years earlier on a trip to New York, she visited a number of speakeasy-style bars, and the one that stood out the most was The Blind Barber, a cocktail bar/barbershop combo. At his barber station, Quintana has a print of a quote from George Burns: “Too bad that all the people who know how to run the country are busy driving taxicabs and cutting hair.” While he may not know how to run the country, Alex Quintana does know how to run a barbershop (and now, a bar) -- and honestly, that’s not a bad start.